Pair of vector earphones or headphones designed in black, gray and white with gradients highlights. Download the free graphic as an event logo emblem, party website icon or nightlife application button. Could also work well in a music lovers collage design, audio themed info-graphic or part of a house, techno, disco or electro party flyer. 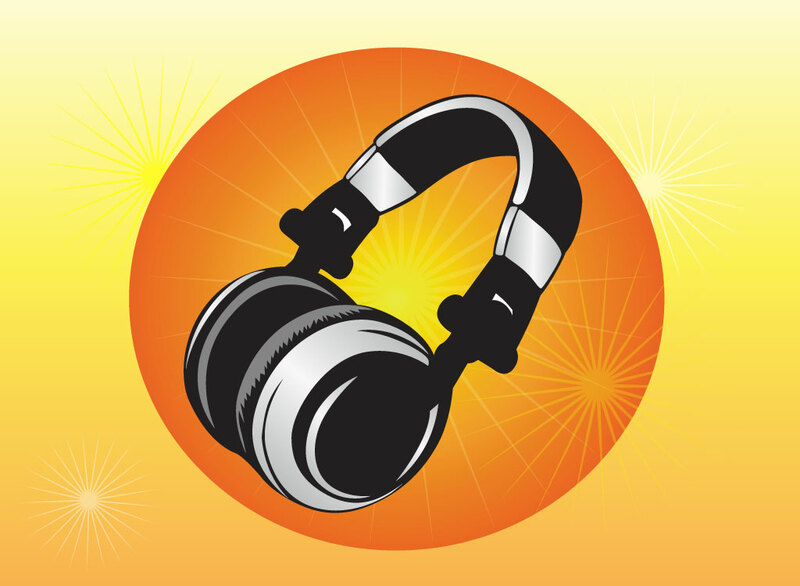 Tags: Audio, Club, Deejay, Dj, Event, Headphones, Music, Nightlife, Party, Sound, Techno.